To provide additional rail services to meet increased capacity along the West Anglia Main Line (WAML), this project is to install an additional track between Lea Bridge Station and Angel Road Station in North London. This scheme is intended to address medium-term demand arising from industrial and residential developments in the Lea Valley, including near Lea Bridge, Tottenham Hale, Northumberland Park and Angel Road stations. The scope of works required to achieve this includes addition of a 3rd track from Lea Bridge Station to Angel Road alongside the existing two tracks, with provision for the potential future addition of a 4th track which will potentially be used for Crossrail 2. Station upgrades with additional platforms are required at Tottenham Hale, Northumberland Park and a New Angel Road station (Meridian Water) to service the Meridian Water Development. The scheme is in its closing phases currently scheduled for Completion in Spring 2019. Adam Holmes will give a brief overview of the WAML project and his specific project, Tottenham Hale station. Edward Bisiaux will talk about some of the buildability issues the team have experienced over the past 18 months and the mitigation measures put in place to resolve them. Ian Horton-Plant will run through temporary works and how they have come into effect during the construction of the project. Adam is an Agent currently acting as Project Manager for VolkerFitzpatrick on Tottenham Hale station, This station is a part of the West Anglia Mainline Project. Adam has worked in the industry for around 18 years working on a variety of Railway Infrastructure projects from Deep drainage and Earthworks to Bridges and Rivers. He has worked his way up from Chain Boy through the ranks with Various companies and more recently onto VolkerFitzpatrick in 2015. His focus is bringing his Projects in Safely, on time, within budget and with as minimal disruption to the local Environment as possible. He is also a Construction Ambassador, which means he goes into Local schools to discuss the Construction industry and potential careers for children of varying ages from 11 to 18. Edward is a Senior Engineer with a demonstrated history of working in the construction industry. He is an Incorporated member of the ICE and is currently working towards his Chartership. Edward has worked on several complex rail projects working within tight timescales to deliver the works on time and to high quality. These projects include, Cambridge North Station, Hackney Wick Station, Tottenham Hale Station and Bridge replacements in Limehouse. Edward has experience in a wide range of Civil Engineering disciplines and works with his team of Engineers to ensure the job is built Safely, on time and to the clients/ Stakeholders satisfaction. Ian is a Senior Engineer with 12 years of experience in delivering large-scale Civil Engineering and Infrastructure projects including the Nuclear, Power, Waste, Marine and Rail sectors. 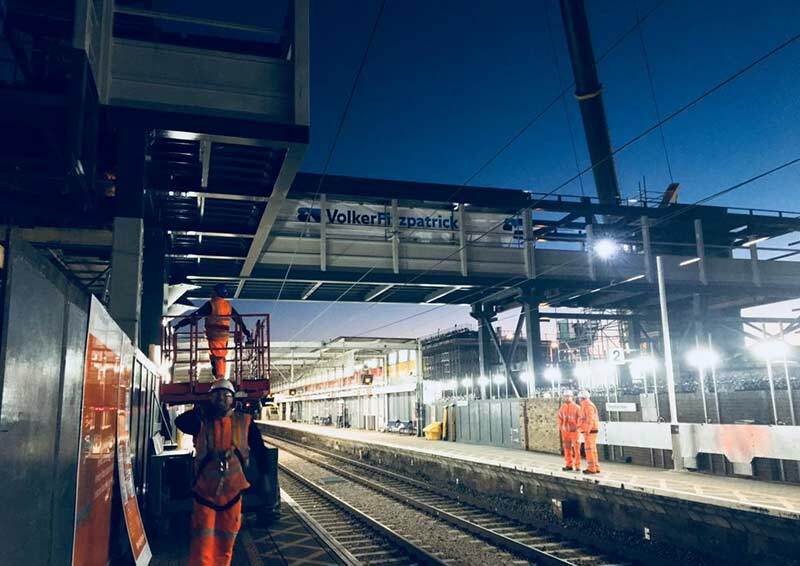 Ian is now Temporary Works Lead for Volker Fitzpatrick bringing his experience of highly regulated environments to control activities in the Rail Division. He focusses on engineering safety through strict control of the design and implementation of Temporary Works.